The Center for Undergraduate Research Opportunities (CURO) at the University of Georgia highlights outstanding undergraduate research at UGA during its annual symposium. The Best of CURO issue each year features select research in the humanities, arts, and social sciences presented at the symposium. AUX Launch utilizes the web as a platform where the lines of separation between art, design, and commerce are blurred. Competition between traditional music industry distribution strategies and alternative models such as filesharing and inexpensive downloads is contributing to the emergence of new web-based models of artistic representation and content distribution. 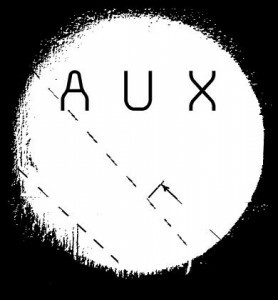 This project combines creative and technological research in the creation of a web site that accompanies the publication of AUX, a collection of experimental sound from Athens, Georgia . The development of the AUX web site is one component of collaborative project supported by Ideas for Creative Exploration (ICE), an interdisciplinary initiative for advanced research in the arts at UGA. The initial stage of the project brought together recording artists who share a connection with Athens’ thriving independent music scene and graduate students in the Lamar Dodd School of Art’s acclaimed Printmaking and Book Arts program. The result was a limited-edition audio CD in unique packaging printed and assembled by hand. AUX Launch supports the distribution of the CD and will remain online as documentation of the project when the edition is no longer available. The site, auxfestival.com/auxcd/, provides information about the artists on the compilation and sense of context for the project within the global community. The development of the site is the result of individual effort using Macromedia Flash software and original ActionScript programming. The project evolved through numerous prototypes and code refinements to launch-ready status. The innovative design reflects the unconventional nature of the compilation through the use of layered graphics, sound, animation, and minimal text. A dynamic interface activates subtle contrasts in color, negative space, and popup animations, creating moments of intuitive navigation and discovery. 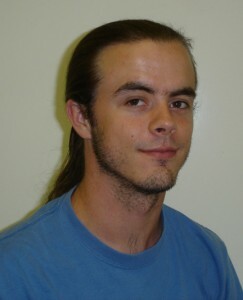 John Crowe is a senior Digital Media BFA candidate in the Lamar Dodd School of Art. In 2005 he was a CURO Summer Fellowship recipient. He is affiliated with Ideas for Creative Exploration (ICE) an interdisciplinary program for advanced research in the arts, and received a 2005-2006 ICE Project Grant.